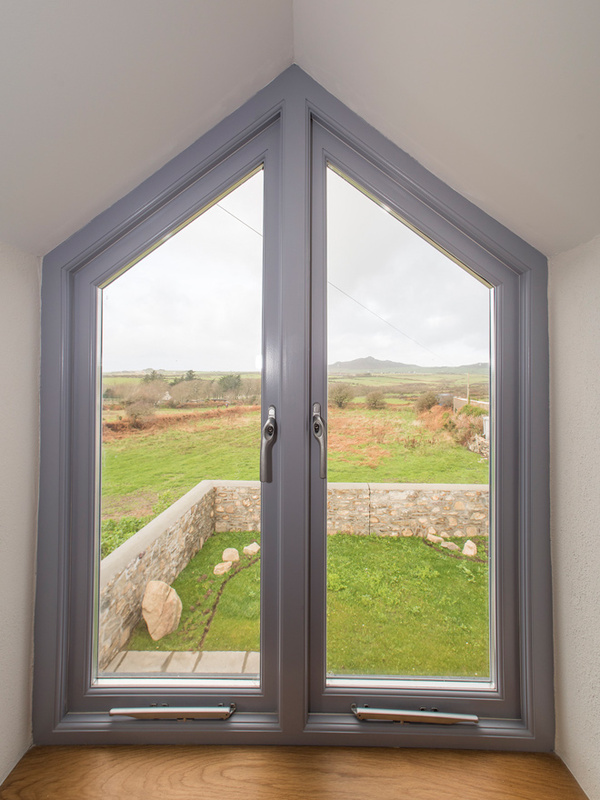 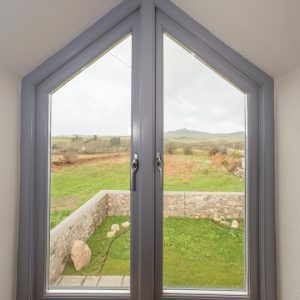 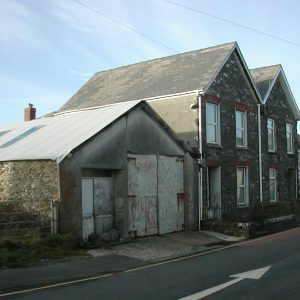 Somewhat unusual for a property in St Davids, the house had been unoccupied for over 20 years. 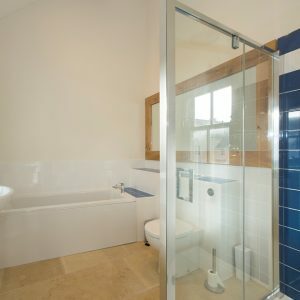 The property comprised of a semi-detached town house, being the left hand one of a matching pair. 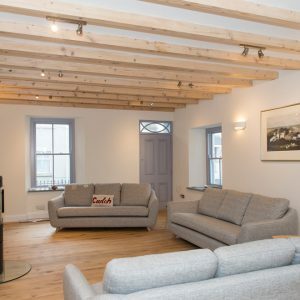 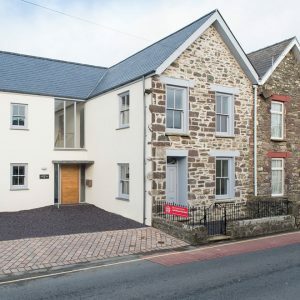 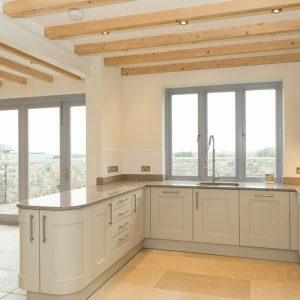 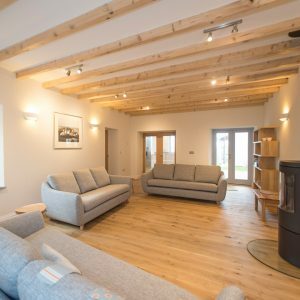 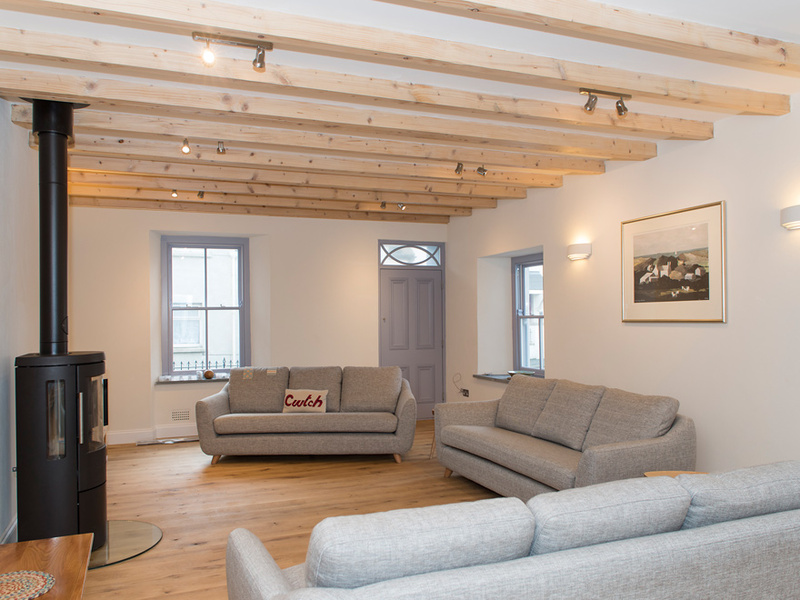 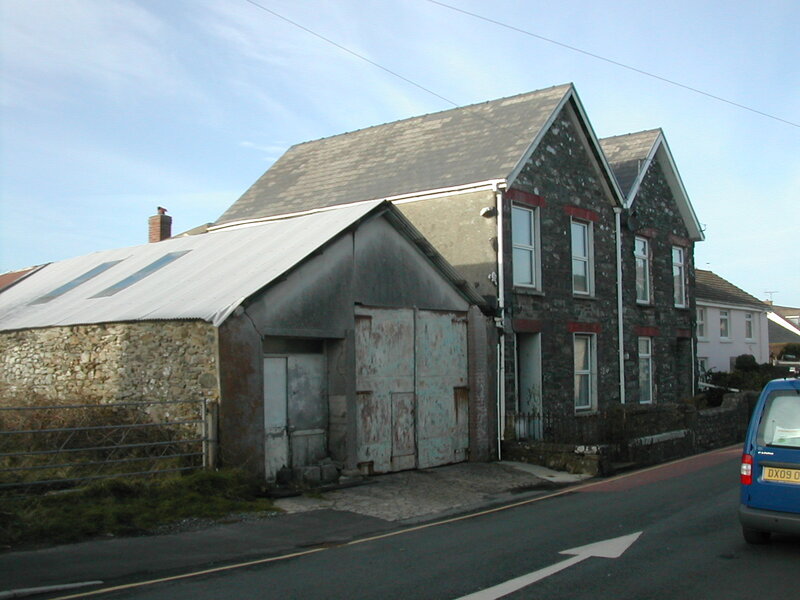 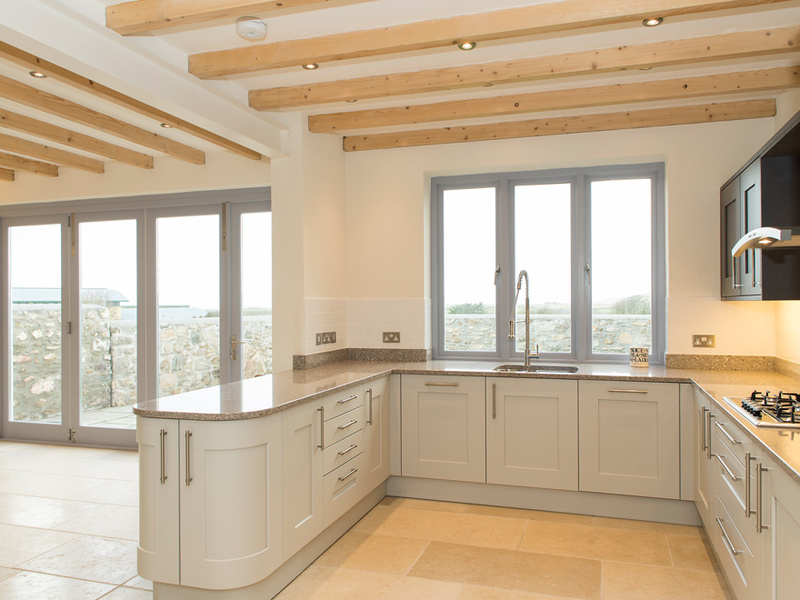 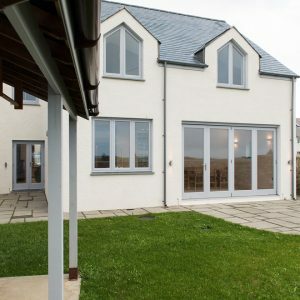 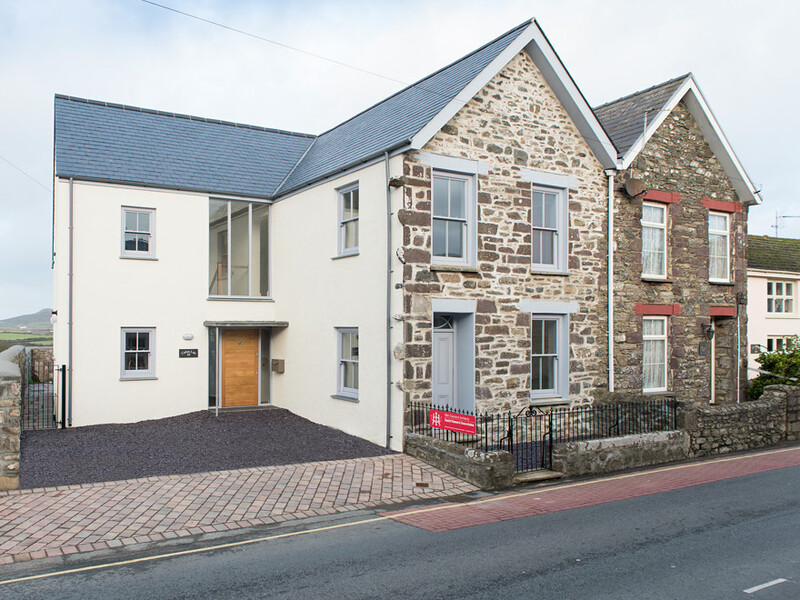 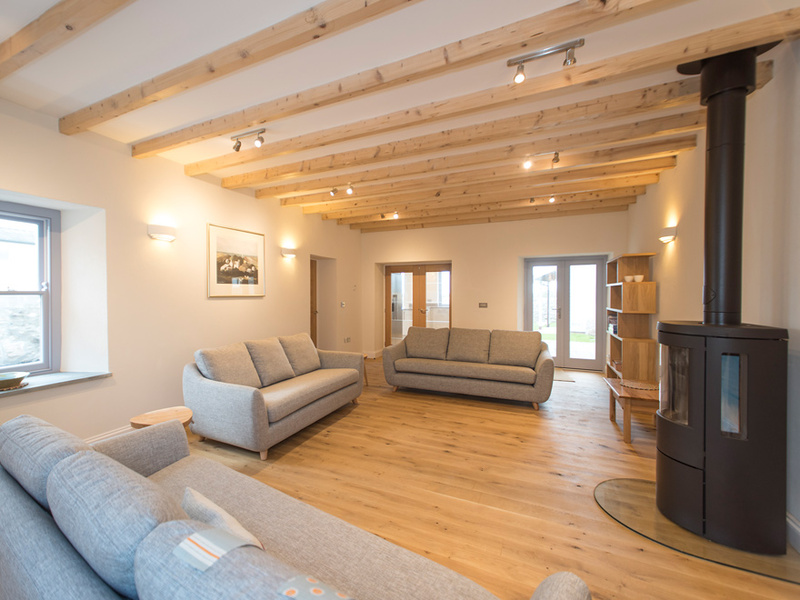 The property had been extended to the rear, to create a kitchen with a bathroom above and to the side a workshop / garage which had been the St Davids Fire Station. 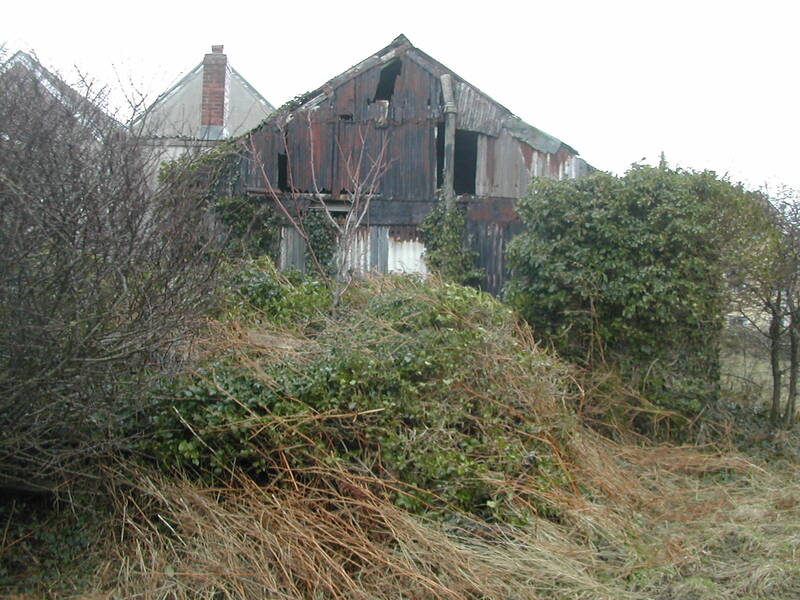 We carried out a full structural survey and noted that the original building was in need of major repair though the roof section was surprisingly in good condition. 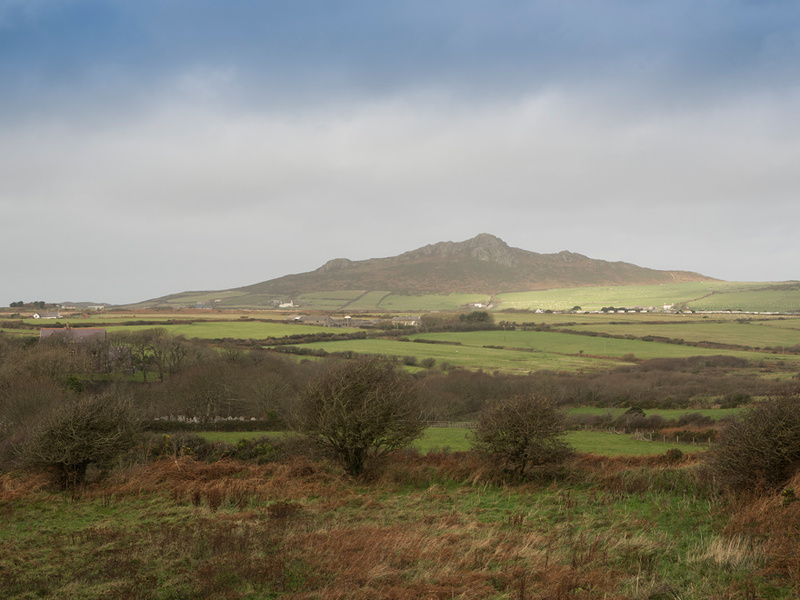 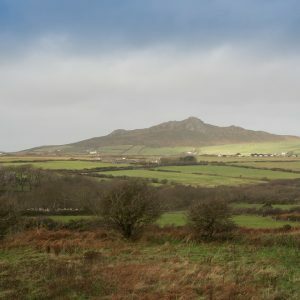 However, it did have fabulous distant views of Carn Ifan and Carn Llidi. 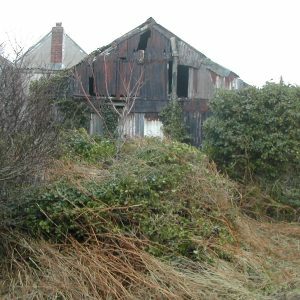 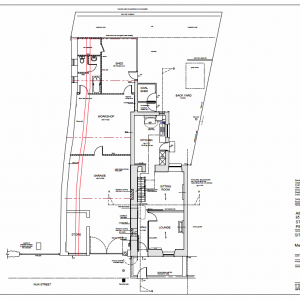 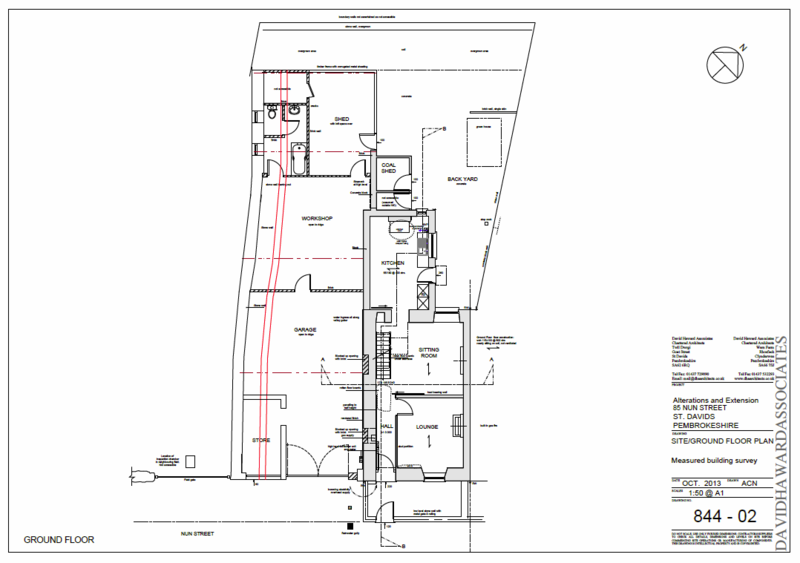 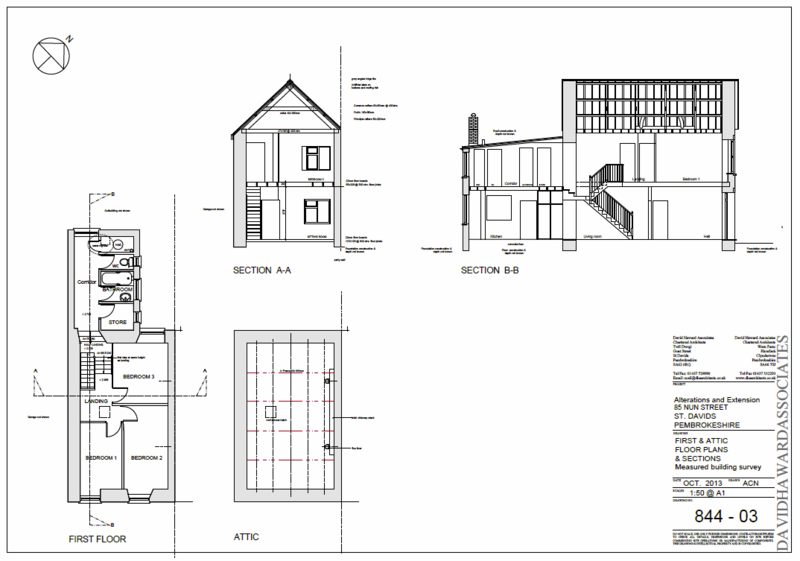 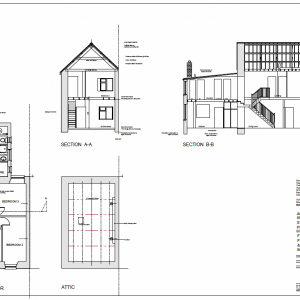 The Measured Building Survey revealed that the two storey rear extension would need to be rebuilt. 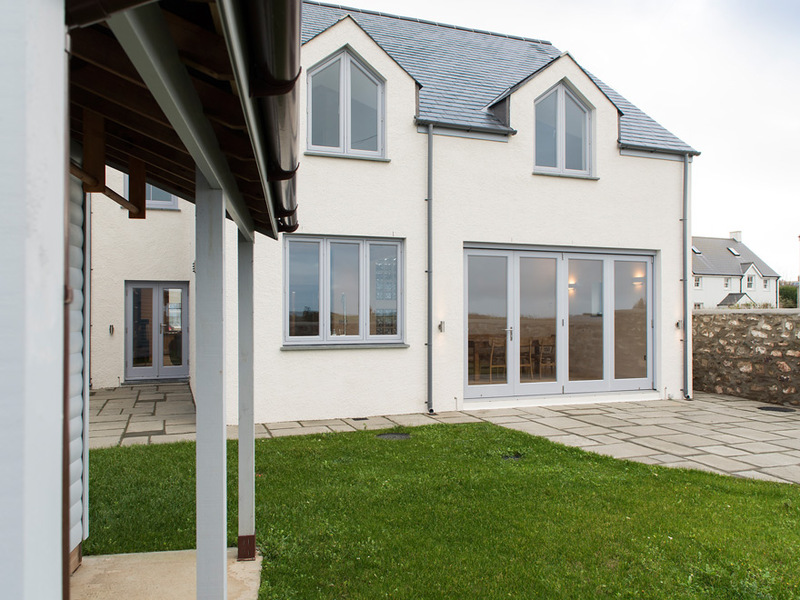 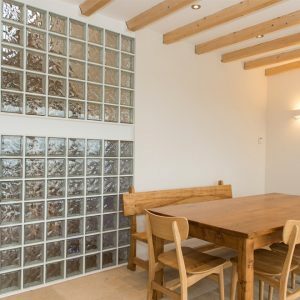 The clients’ brief was to create a comfortable four bedroom house taking advantage of the views and providing some off street car parking. 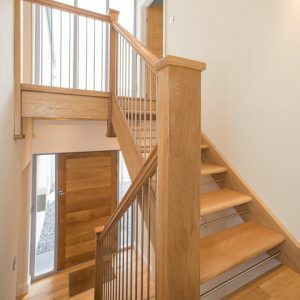 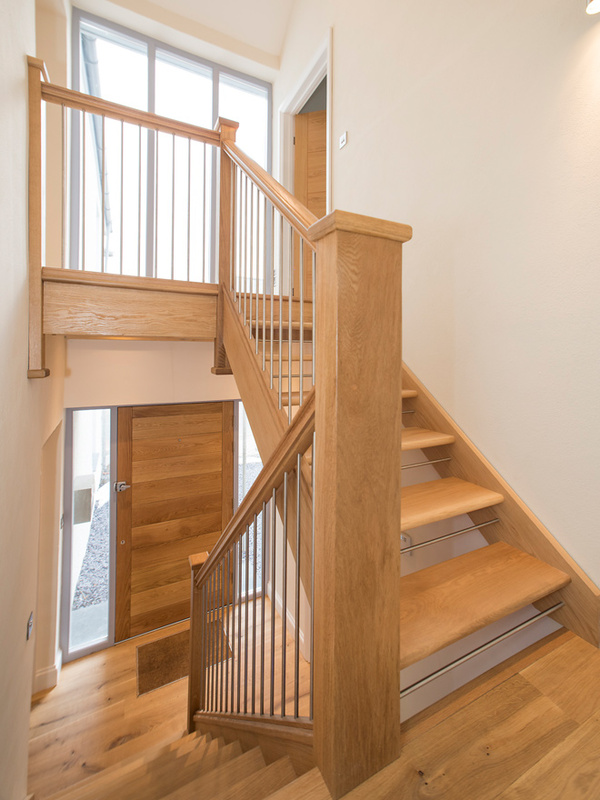 The completed building created a semi open plan layout, with a new entrance and staircase. 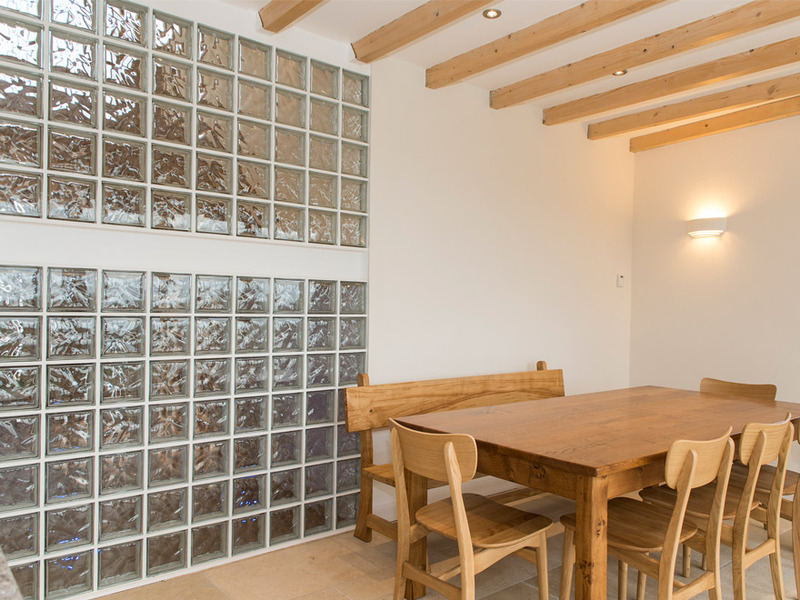 A garden room was added to create a link with the garden. 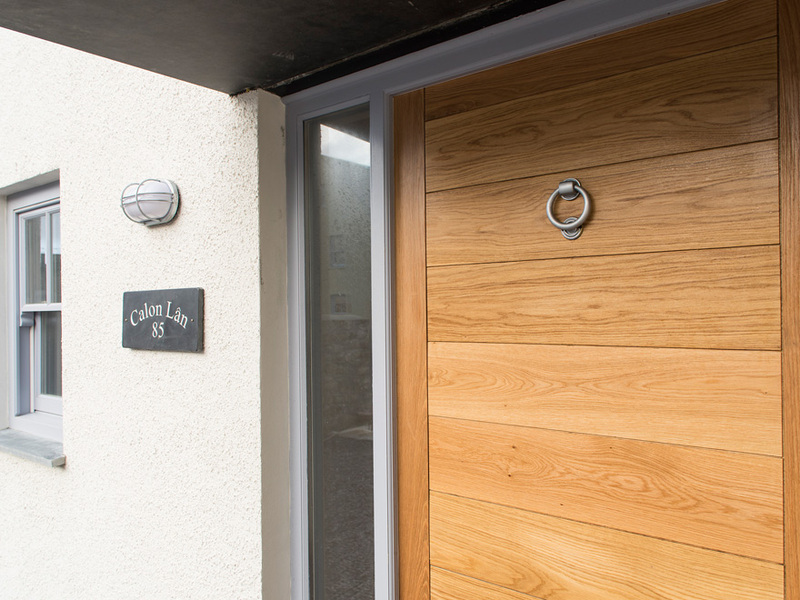 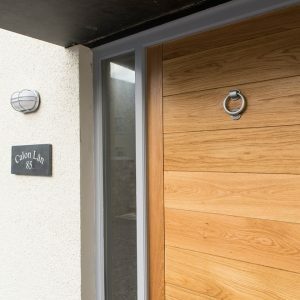 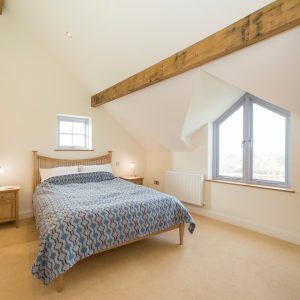 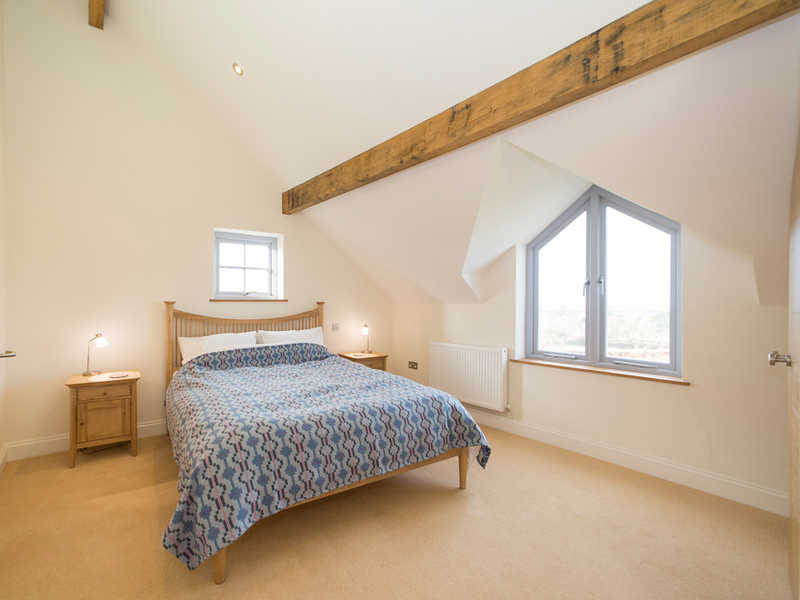 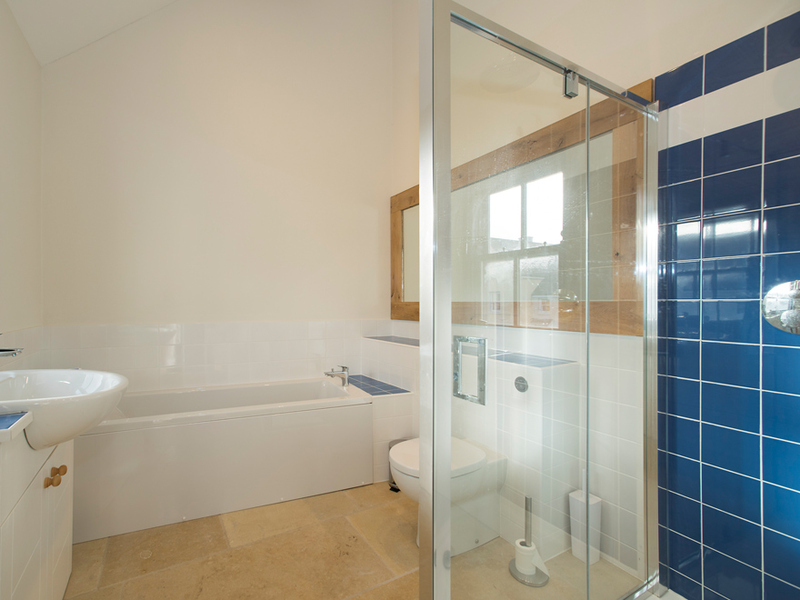 Additional accommodation was created including a utility room, cloakroom and en suite facilities to the main bedroom.